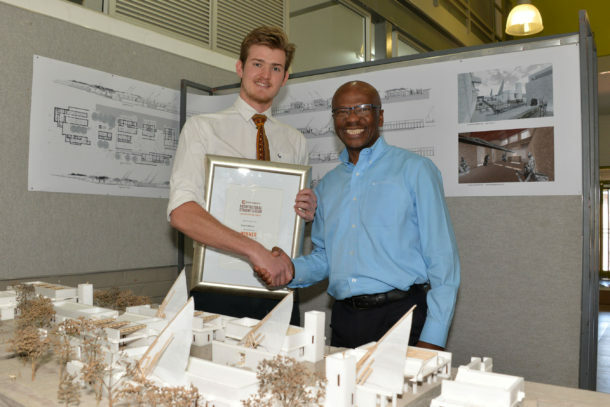 Caption: Samuel Pellissier of the University of the Free State is the 2018 regional finalist of the 32ndCorobrik Architectural Student of the Year Awards. He is pictured receiving his award from Musa Shangase, Corobrik Commercial Director. The winning model of the thesis entitled Lamu: An Architectural Investigation of Time and Place is pictured in the foreground. For more information contact Musa Shangase on 011 871 8600.